All mariners are advised that the UK National Armed Forces Day will be held at Llandudno on Saturday 30 June 2018. 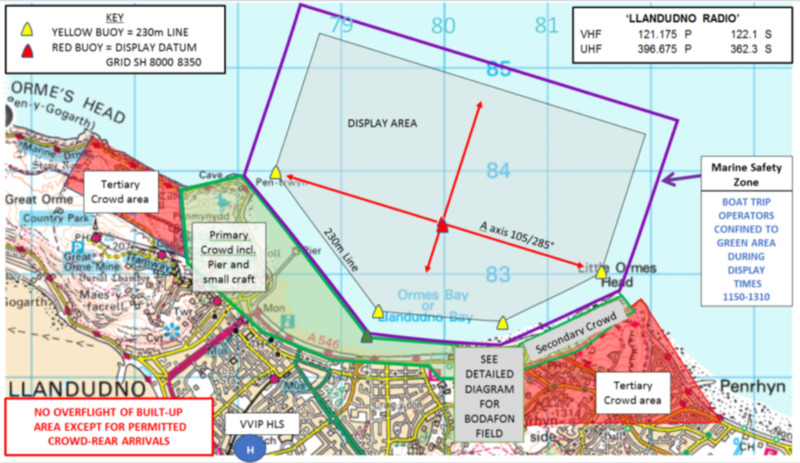 A marine exclusion area, as per the appended charts, will be in force for the duration of the air display from 1150 until 1310. Patrol craft with a police and military presence will be enforcing the exclusion area. Mariners are requested to co-operate and respect the exclusion area as any incursions will result in cancellation of the air display. 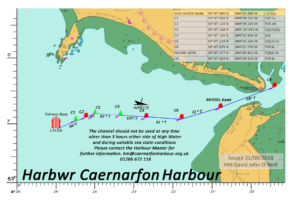 Provision has been made for vessels to anchor inside of a line running between the Pier and Venue Cymru starboard hand mark. On Saturday the 19th and 20th of May Caernarfon Harbour is hosting the Aqua Adrenaline Tour Powerboat racing. Navigation inside the BLUE area is strictly prohibited during the racing times. The orange areas will be waiting areas for vessel wishing to navigate through the blue area between races. The red area is reserved for vessels accessing and egressing Doc Fictoria. 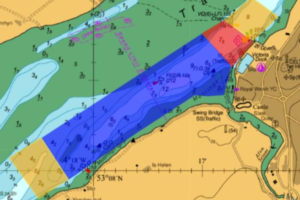 Authorisation to navigate into the red or blue area must be sought from the Dock Master on VHF Ch.80. 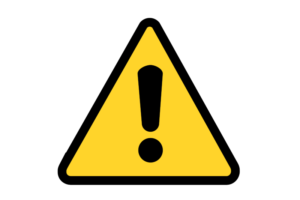 All mariners are hereby advised that scheduled dredging activities will be taking place at the Conwy Harbour access jetty (opposite the Liverpool Arms) for the next two to three weeks. The work boat ‘Jac y Do’ will be restricted in her ability during dredging operations and mariners are requested to keep 25m clearance. Should jetty access be required during operations then the vessel should be contacted on VHF channel 14. A further notice will be issued when dredging operations are complete.